Happy Holidays Special! Back by Popular Demand! 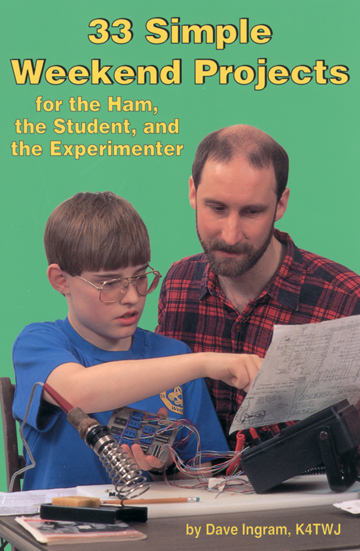 One of four previously published books we've reprint to meet the demands of today's Hams. Do-it-yourself electronics projects from the most basic to the fairly sophisticated. Temporarily out-of-stock. Orders received today will ship July 2nd. 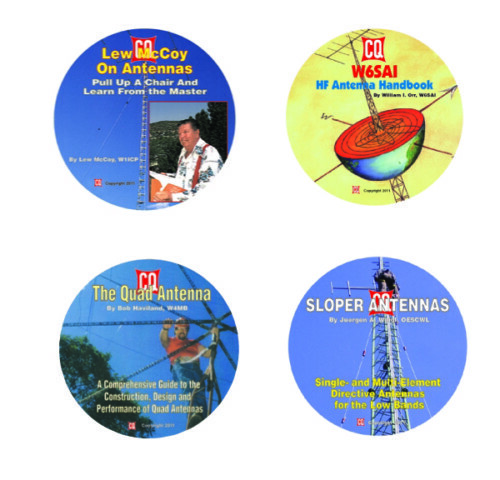 This 4-pak includes the following books on CD: W6SAI HF Antenna Handbook, The Quad Antenna, Lew McCoy on Antennas and Sloper Antennas. By purchasing them together you saved $8.80! This combo package includes both the 8.5 X 11 paperback and CD version of this great title at a special savings! By Jerry Sevick, W2FMI The successor to the popular and authoritative Baluns & Ununs. Includes a great deal of new tutorial material, designs, and explanations of how and why they work. by Lew McCoy W1ICP Back by Popular Demand! One of four previously published books we've reprint to meet the demands of today's Hams.< This books is also available on CD. Buy both the 8.5 X 11 paperback and CD and save! See McCoy Combo. 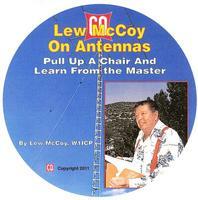 Unlike many technical publications, Lew McCoy, W1ICP presents his invaluable antenna information in a casual non-intimidating way for everyone! This title is also available in its original 8.5 X 11 paperback version. Buy both the 8.5 X 11 paperback and CD and save! See McCoy Combo. Temporarily out-of-stock. Orders received today will ship July 2nd. This combo package includes both the 8.5 X 11 paperback and CD version of this great title at a special savings! 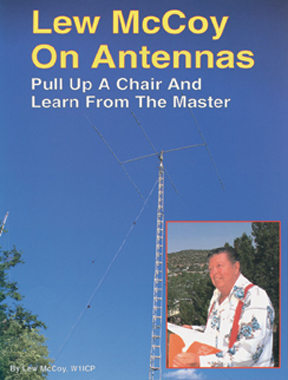 Unlike many technical authors, Lew McCoy, W1ICP presents his invaluable antenna information in a casual non-intimidating way for everyone! This combo package includes both the 8.5 X 11 paperback and CD version! 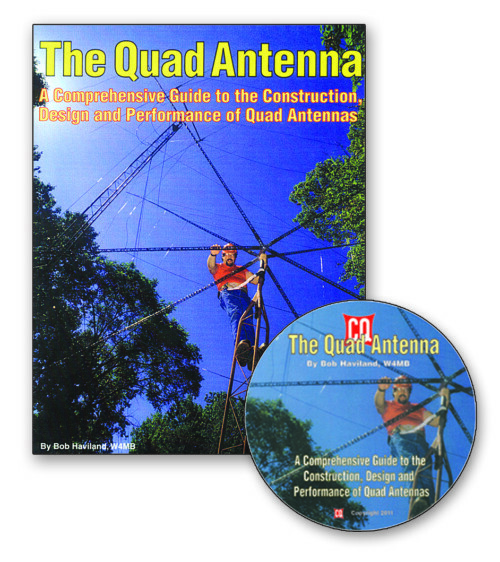 Comprehensive guide to the construction, design and performance of Quad Antennas. M. Walter Maxwell, W2DU's fully revised and updated, 424-page, third edition! 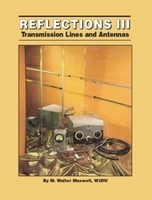 Includes everything found in Reflections I and Reflections II and more! This combo package includes both the 8.5 X 11 paperback and CD version of this great title at a special savings! M. Walter Maxwell, W2DU's fully revised and updated, 424-page, third edition! Includes everything found in Reflections I and Reflections II and more! 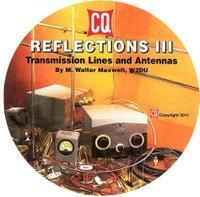 M. Walter Maxwell, W2DU's fully revised and updated, 424-page, third edition on CD! Includes everything found in Reflections I and Reflections II and more! This title is also available in its original 8.5 X 11 paperback version! Buy both and save! See Reflections III Combo. Single- and Multi-Element Directive Antennas for the Low Bands Single- and Multi-Element Directive Antennas for the Low Bands. 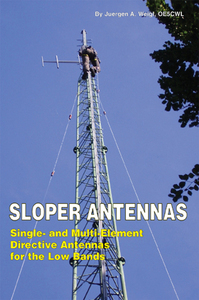 With calculations and practical experience, this book shows which basic concepts have to be considered for sloper antennas for the low bands. This title is also available on CD. Buy both the paperback and CD and save! See Sloper Combo. Single- and Multi-Element Directive Antennas for the Low Bands Single- and Multi-Element Directive Antennas for the Low Bands. 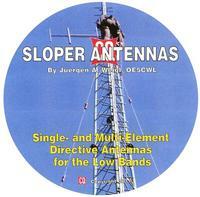 With calculations and practical experience, this CD shows which basic concepts have to be considered for sloper antennas for the low bands. This title is also available in its original 6 X 9 paperback version. Buy both the paperback and CD and save! See Sloper Combo.